This storytime includes a variety of components that fit nicely in the context of what’s going in Homer and in toddler storytime. For example, crows and ravens are everywhere these days. I was able to find two raven finger puppets at our community museum so I had to include them. These kiddos love puppets in all sizes and they immediately gravitated toward these two little black beauties. 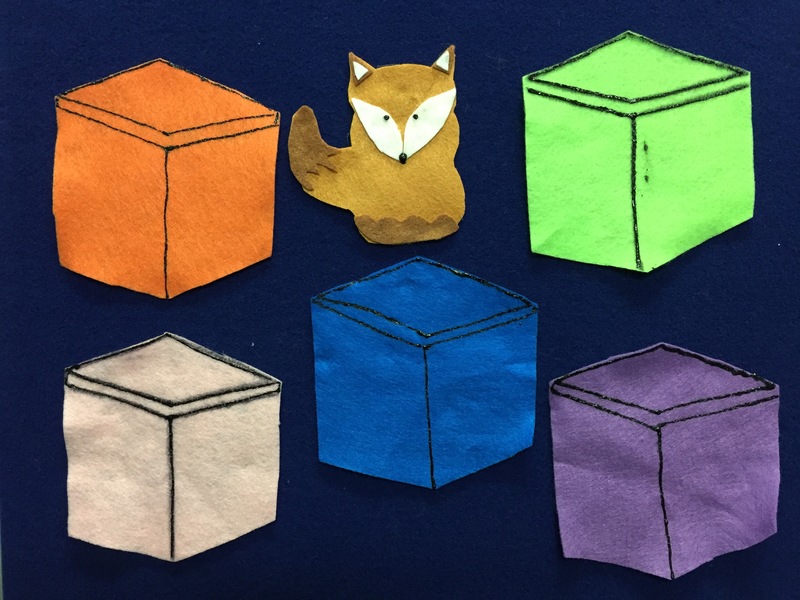 At the end of storytime, I also shared with them the new Alaska animal puppets that will live in the children’s library from now on (separate than my personal stash of puppets) thanks to an early literacy grant we received from the State Library. Many families spend a lot of time outside here in the Summer. The days are long and the great outdoors is literally out your door. Caterpillars are just one of the fascinating treasures little ones can find in their yard and on local trails. 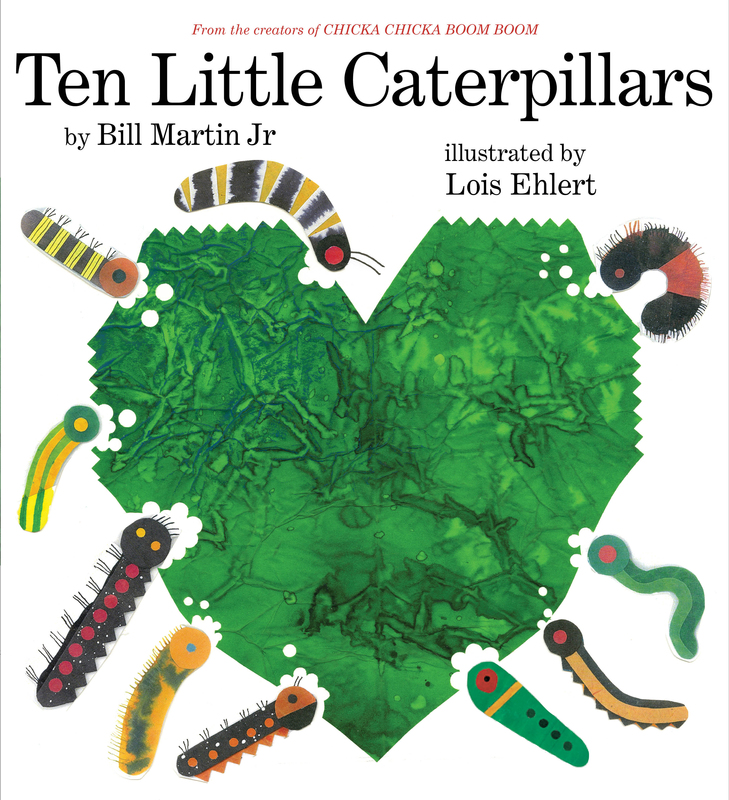 The book we read today, 10 Little Caterpillars, highlights these little creatures and offers multiple opportunities for exploring a book- families can read the entire story straight through, they can talk about the plants that are in the book and find them in their garden and they can find the caterpillar, and other bugs, on each age (sometimes tricky!). Come back Soft, come back Loud! We’ve been playing with shakers for a couple of weeks and having lots of fun so I added in a new song that I found recently. This song goes nicely with this week’s early literacy tip about teaching children the concept of stop, and self-control, through play. The source link will take you to a video of the song so you can learn the tune. I left off the goodbye verse to shorten the song and because we weren’t quite ready to say goodbye! If you’re happy and you know it give a shake. If you’re happy and you know it give a clap. If you’re happy and you know it give a tap. We explored animals that jump this week. It was a great opportunity to mix and match some seemingly unrelated books and lots of movement. Here’s what we did! When you read to your child, run your finger under the printed words to help her/him know that it is the text you are reading, not the pictures. This helps kids know text has meaning. 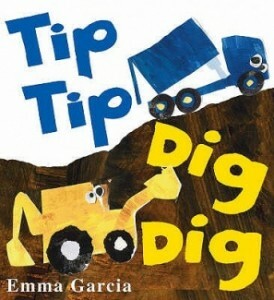 For more easy to use tips like this one, check out the The Early Literacy Kit by Saroj Ghoting (Every Child Ready to Read) and Betsy Diamant-Cohen (Mother Goose on the Loose), both of whom I finally met in person at the #alsc2014 conference. I just came across a version of the first verse with sign language which I’ll be using next week. 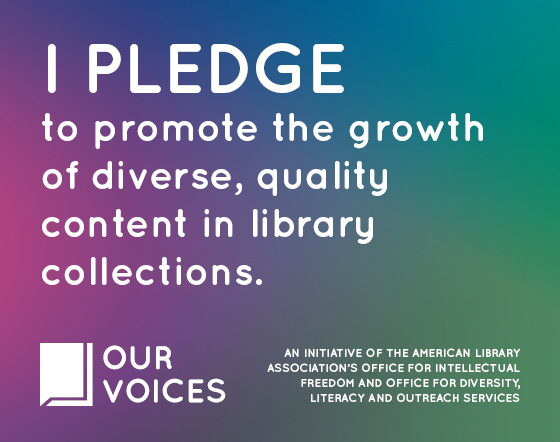 Check out Holly Jin’s video (Skokie Public Library)! One little one pointed out that we don’t have tails as we swung our pretend tails which gave us a chance to talk about similarities and differences! “Jump,” said Jack. “Jump,” said Jill. This book works well with kids that need to move as they listen. It has a funny and unexpected ending! Hoppy Easter! It’s time for the annual rabbit storytime! This year I focused more on the actual animal instead of the mythical Easter Bunny which worked well. I also added an early literacy injected egg hunt to the preschool program. Instead of moving right into reading books and singing together, it was time for our egg hunt. 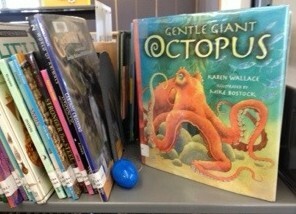 The kids had already noticed the brightly colored eggs hidden throughout the children’s library where we hold storytime. I explained that each egg, there were twenty-six, had a different felt letter inside. As a team, we needed to find the eggs, open them, pull out the letter inside, and then bring it back to the storytime space so we could match it to the same letter on the feltboard. 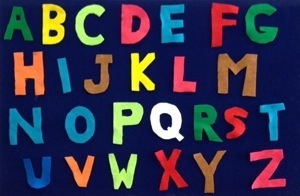 I asked the older kids to help younger ones and I explained that we could match the letters by their shape and color (as you can see below, the felt letter pairs were the same color and I used random colors to help differentiate the letters from each other). 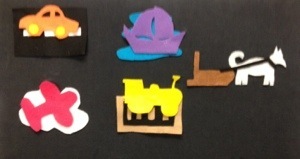 In hind sight, I should have cut the letters out of felt colors that created a pattern. Next time! After we found all of the eggs, we sang the Alphabet Song forward and backwards while I pointed to the individual letters. Next I brought out my larger bunny puppet to introduce storytime. Rabbit, aka Foo Foo, helps with storytime do’s and don’ts and was the star of the compare game. To talk about rabbits, and snowshoe hares which live here in Alaska, I asked kids to look at the bunny puppet and then at me. The object of the game is to figure out what is the same and what is different. I started everyone off by talking our legs- the rabbit has four and I have two, plus two arms. We observed the puppet and the kids yelled out similarities and differences including our ears, our eyes, rabbit’s tail and fur, how rabbit gets around, etc. We also talked about why rabbits might have particular features that are different from mine. 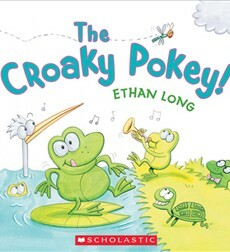 After the game I taught everyone a quick finger play that is easy to learn and repeat at home. In anticipation of our first book, we acted out an opposite rhyme. I always ask kids to stand up for this one to help them move a bit before our first story. 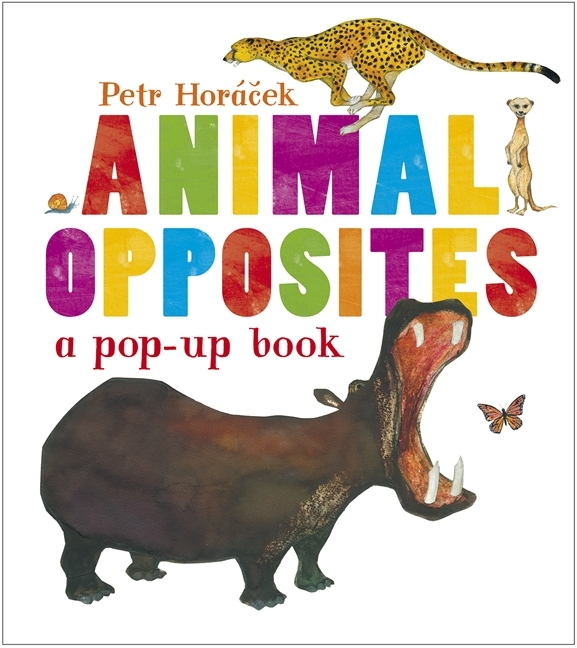 There are a lot of books featuring animal opposites, but this one by Petr Horáček is my favorite. It’s a pop up book, which I love for its interactivity, but it is also special for other reasons. The opposites are spot on, the animals are very realistic and each pair offers lots of opportunities for conversation. The grand finale, a very large fold out elephant, is an excellent touch. 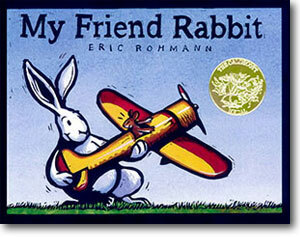 Eric Rothmann’s tale of mouse and rabbit is a great companion to the Animal Opposites book we explored first. Some of the animals appear in both books, including the white goose, and the kids can see rabbit lifting the heavy hippo reinforcing what heavy means. 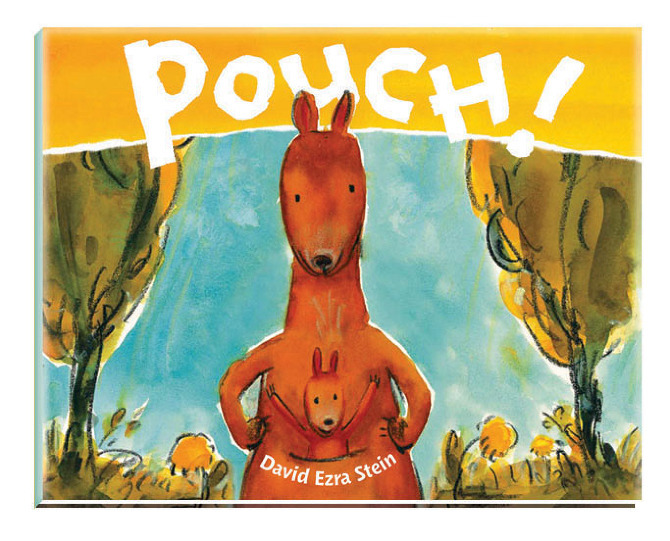 With minimal text, the illustrations in this fun read aloud must speak loudly, and they do. 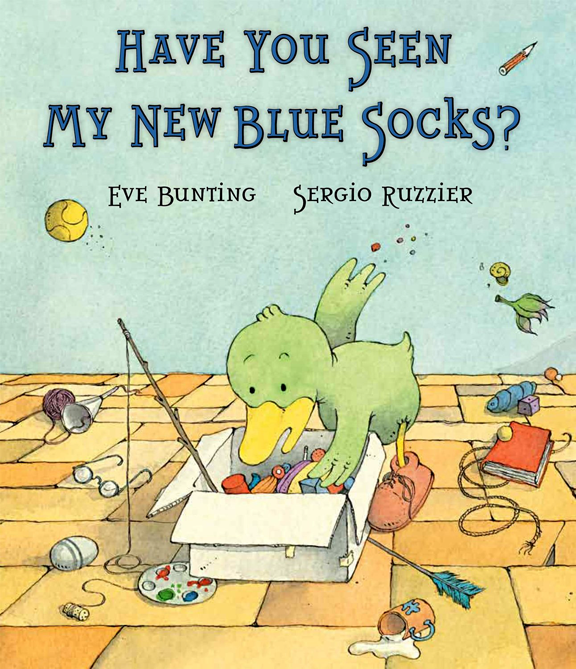 Rabbit, the troublemaker and problem solver, has an idea for getting mouse’s plane unstuck and kids liked to anticipate what’s going to happen next and predict rabbit’s innovative solution. I’ll give you 2 chances. 2. “I gave you two chances. 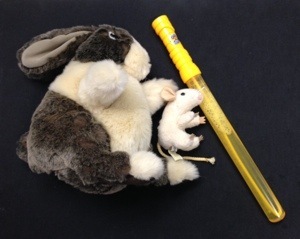 I use my rabbit puppet, a mouse puppet and my bubble wand for this one. I show the kids the hand motions for the song before we start so they can sing along with me. I also sometimes just let the fairy godmother give the bunny just two chances, instead of three, if kids are getting restless. How does she turn the bunny into a goon? By blowing bubbles over him as he sits on the floor! I ask the kids to protect Foo Foo by popping all of the bubbles before they land on him. 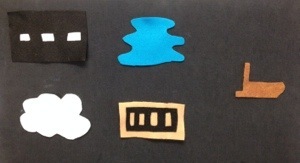 Because of the activities we did today, I offered a simple craft. I have used this one before. I prepped the pink strips that kids and adults could cut into ears and provided green squares for the hand shaped grass. 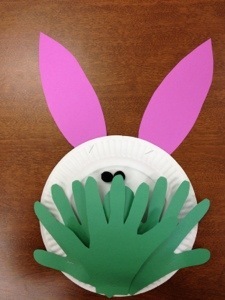 Kids cut, stapled, and glued to produce the bunny hiding in the grass.